Ary dos Santos was also an active political campaigner. Ran the length and breadth of the country, sometimes alone before thrilled audiences with his unique way of saying poetry, sometimes in organized sessions for popular structures in which also participated in the intervention singers who, like him, through music and words, tried to interpret the feel of an entire people. Too often these sessions were interrupted by the arrival of the repressive forces, but next week or next month were all there, again, available for another session, another journey. Political commitment Ary was already since the 1960s, and takes with particular emphasis since 1969. At this point, part of the campaign of the Democratic Electoral Commission and is affiliated with the Portuguese Communist Party ( PCP ). His spoken word was also sung. Ary dos Santos was the author of poems for some of the most memorable songs ever presented to the Eurovision Song Contest, to the point that some of them have survived the test of time and still emerge as true icons of a generation, by how fearless dared in time of dictatorship, addressing issues taken by taboo, or inconvenient, or even provocative. Everything always anchored in a sensitive lyrical but powerful. Competes, pseudonymous, the Eurovision Song Contest 1969 with the poem "Desfolhada" (http://youtu.be/abTyMNrWfs4). The music is by Nuno Nazareth Fernandes and interpretation was done by Simone de Oliveira. No, mainly because of the provocation of current morality contained in the verse "Quem Faz Um Filho Fá-lo Por Gosto" without some scandal to the mix. The "Desfolhada" reaches the top spot. Music, edited disk, appears on radio, television and in shows throughout the country. Ary return to place winner of the Eurovision Song Contest in 1971, again with Nuno Nazareth Fernandes, with Tonicha interpret "Menina"(http://www.youtube.com/watch?v=Chh-lPnPvf0). 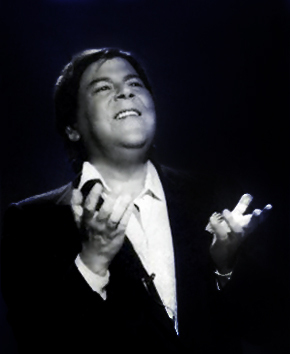 Returns in 1973 and 1977, with musical compositions and interpretations of Fernando Tordo, first with "Tourada" (http://youtu.be/LbZLQjrB0No), again a provocation, and then with "Portugal no Coração". Throughout his life he wrote over 600 poems to songs and collaborated with many composers, like Nuno Nazareth Fernandes, Fernando Tordo, who made ​​one of the most creative double the Portuguese song, but Alain Oulman, José Mário Branco, Paulo de Carvalho or António Victorino de Almeida. Ary not despised fado and wrote some great poems, later interpreted by most relevant Portuguese fado singers. Began with "Desespero", played by José Manuel Osorio. From an invitation of Alain Oulman writes in 1968 the poem "Meu Amor, Meu Amor" will be played by Amalia Rodrigues. Followed by songs like "Amendoa Amarga", "Alfama", "Rosa Vermelha", "O Meu é Teu" and "O Meu Amigo Está Longe"
Themes such as "Estrela da Tarde", "Lisboa, Menina e Moça" or "Os Putos" played by Carlos do Carmo, with music by Fernando Tordo and Paulo de Carvalho, are examples of the degree of popularity of poems Ary dos Santos together the public. Your name is attached to a disc, also the singer Carlos do Carmo, which marked the history of fado. This is " A man in the city," 1977, designed entirely with poems by Ary dos Santos. The same format is applied to the album "Um Homem no País", published in 1984, with the letters of the poet music by various composers. The music of Ary dos Santos passed from generation to generation as a valuable family heritage and today, artists like Mariza, Camané, Pedro Moutinho and Mayra Andrade, singing poet. In 2009, they passed 25 years of his death, the project "Rua da Saudade", Mafalda Arnauth, Susana Félix, Viviane and Luanda Cozetti, revived some of the songs Ary. The name evokes the place on the walls of Castelo São Jorge, where Ary dos Santos resided. Lived almost all his life in Nr 23 Rua da Saudade, where there is a tombstone evocative poet. Died January 18, 1984, a victim of cirrhosis. His name was given to a wide of the Alfama district. Ary dos Santos lived for that, "because we are equal, let us not forget." Ary dos Santos, a name, a figure that will never be erased from the collective memory. At 16 years old sees his own poems were selected for the Anthology of premium Almeida Garrett. It was here that rebel, "walked dazzled eyes" toward independence, leaving the parental home. Machines sold in tablet, bellboy was the National Society of Matches clerk at Casino Estoril, did advertising. Was all this and more, even if what really moved him was the irrepressible desire of poetry. In 1963 it published the book of poems "The liturgy of blood." The following year launched the "Time of the legend of almond" and the poem "Blue exists", represented in the Tivoli Theatre in Cold Gases and RTP ( Portuguese Radio television ) . The studies were not linear. He was expelled from college Infante Sagres, passed Nunalvares Institute boarding school in Santo Tirso, and did not actually complete any college degree, despite having attended law schools and Letters of Lisbon. "Original is the poet" and, therefore, Ary dos Santos was continuously publishing books of poetry. "Props, addresses" in 1965, "Insofrimento in distress" in 1969, "Photo-graphs" (seized by the political police PIDE - 1971), "Overview," in 1973, " The doors opened in April ," in 1975, " The blood of the words " in 1979, and in 1983, " 20 years of poetry." At the time of his death prepared the work "The words of the songs," published in 1989 by Editions Avante, with coordinating Ruben de Carvalho. He was also writing a fictionalized autobiography, he wanted to coin the "Road of Light - Street saudade". Posthumously in 1994, was published "Poetic Work", a collection of poems by Ary dos Santos. Her vibrant voice makes it reciter in several record edits. Their first album, " Ary yourself ," comes out in 1970. The following year participating in the LP " Songs of friends " along with Natália Correia and Amalia Rodrigues. In 1974 it published "Political Poetry", in 1975 "Llanto Alfonso Sastre y for all" , in 1977 "Communist Flag " , in 1979 " Ary by Ary " and the following year , "80 Ary", reissued on CD in 1999. Several initiatives indicate the disappearance of the poet that most have sung the April Revolution. José Carlos Ary dos Santos Pereira was a Portuguese poet and reciter. Was in the history of Portuguese music for writing poems 4 Winning songs of the Eurovision Song Contest. Were his words on many of the doors that opened April 1974. Committed poet, activist, passionate about causes and people, José Carlos Ary dos Santos died 30 years ago. Coming from a family of high bourgeoisie, José Carlos Ary dos Santos, known in social and literary milieu by Ary dos Santos was born in Lisbon on December 7, 1937 in a family of high bourgeoisie. Born then again, for poetry at age 14, when the family publishes it, against their will, some poems in the book " Wings ".